Ordinarily, when a player picks up an in injury on international duty, fans of his club are beside themselves with worry. 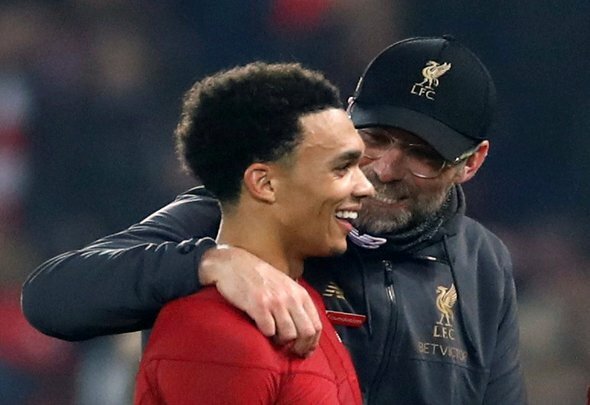 The prospect of missing a key man for crucial domestic games is usually enough send supporters into meltdown, but Liverpool fans have taken an altogether more relaxed view of the news that Trent Alexander-Arnold has dropped out of the England squad for the upcoming Euro 2020 qualifiers against the Czech Republic and Montenegro. The news was confirmed by the national side on Twitter on Wednesday evening, but rather than losing their heads, most of the top faithful seemed fairly happy with the update. The full-back has been ruled out with a minor back injury, and will return to Melwood for rehabilitation, but the general view of things from Merseyside is that it all but guarantees that he won’t be injured when the Reds come up against Tottenham on March 31st. Obviously there are no guarantees of that, but the signs are certainly promising, and if it is just a minor niggle then you would assume that he will be perfectly fine in time for a clash that could prove to be make or break in the club’s season. All good, unless he is actually injured!